Most high school talent shows can be a little blah at best. Someone may get up and dance a bit, play a musical instrument or sing a bit off key. The talent show held in 1966 at Roosevelt High School in Gary, Indiana was a bit different and on one level a history maker. A young boy named Michael got up on stage with his brothers and sang. His parents Joseph and Katherine were musical so it only made sense that their children would inherit that love and some ability, but this boy had something special. It was obvious when he began to sing and moved to the beat that Michael Jackson was a child prodigy with enormous potential. Needless to say, the Jackson boys won that talent show. You will read about the Jackson family and how they broke into the music world. Michael later claimed that his father was an abusive taskmaster, but you will also read about how he worked to purchase instruments for them. Gladys Knight saw something in the group and claimed she’d “…put in a good word for them with Berry Gordy, Jr., the owner of Motown Records.” You’ll learn how Michael learned to dance by watching the pros, how he and his brothers got to perform at the Apollo Theater and how they got a record contract. You’ll also read about their appearances on the Ed Sullivan show, how thrilled Michael was to be the star of his own cartoon show, about the Neverland Ranch, the scandal, Michael’s generosity, his children and much more! 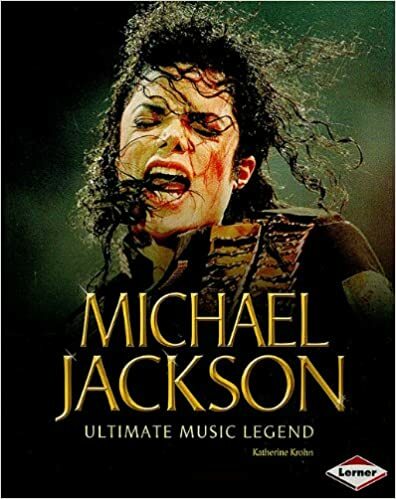 This book will not only become a collectible, it is an excellent biography about Michael Jackson for the younger set. There are numerous photographs, both black and white and full color, many I had never seen, especially the earlier ones. I liked the way the book captured the essence of who Michael Jackson was without downgrading him for his fallibility. The scandals are mentioned, including the molestation charges, but no judgment is passed. This is a well balanced, well researched and impressively well written book. In the back of the book there is an index, a time line of important dates, and additional recommended book and website resources. As Berry Gordy once said, “He had a knowingness about him that was incredible.” This is one book you really should consider for your shelves! Quill says: This is an excellent biography that fans of all ages will enjoy!